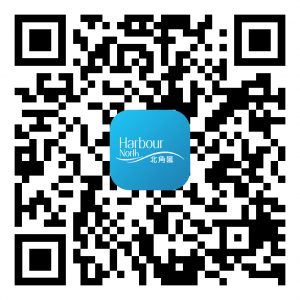 Harbour North (“the mall”) is an entity wholly owned and run by Sun Hung Kai Real Estate Agency Limited. It is the policy of the Mall to comply with the Personal Data (Privacy) Ordinance, Chapter 486 of the laws of the Hong Kong. We also strive to ensure compliance by our staff with the strictest standards of security and confidentiality. The collection of any personal data collected will be subject to our Personal Information Collection Statements. Personal data is stored securely in our system and we will take all practicable steps to ensure that personal data is not kept longer than is necessary for the fulfillment of the purpose (including any directly related purpose) for which the data is or is to be used. Only trained, authorized staff shall have access to the data, and we do not release personal data to parties outside the group except as set out in our Personal Information Collection Statements. User has the right to request access to and correction of their personal information in accordance with the procedure set out in our Personal Information Collection Statements. This Personal Information Collection Statement sets out the purposes for which the information provided by you as a User will be used following collection, what you are agreeing to with respect to our use of such information and your rights under the Personal Data (Privacy) Ordinance, Cap 486. This statement may change from time to time, so please check back periodically. When each time you log in to this web site and use its services, you agree to be bound by the statement in force at that time. User may be asked to provide with personally-identifiable information such as name and e-mail address. This is necessary to provide User the various services and activities offered on this web site. You, as a User, are not obliged to supply the data, but if you do not, the services and activities will be unavailable. The IP address of the computer used to visit our web site may be recorded. Collected personal data will be kept confidential by Harbour North but we may transfer or disclose such personal data to our contractors under a duty of confidentiality to us who provide administrative, telecommunications, computer, data processing or other services to us in connection with management, operation and maintenance of the system with the purpose of personal data collection. You have the right to request access to and correction of your personal data in accordance with the provisions of the Personal Data (Privacy) Ordinance (Cap.486). Any data access request or data correction request may be made to our Data Protection Officer at dpo@shkp.com or via mail to 45/F Sun Hung Kai Centre, 30 Harbour Road, Wan Chai, Hong Kong.